Clear Lake MN homes that use a Subsurface Sewage Treatment System (SSTS) must be in compliance with Ordinance #303 in Unsewered areas. There are rules pertaining to Existing Septic Systems, New Sewage Disposal Systems, Alterations and Upgrades. As a Licensed Septic Practitioner, CSI Custom Septic, Inc. can assist with navigating all standards and regulations that are put in place to keep you and your family safe from the danger and cost of a Sewage Leak. Choosing the Right Septic Tank Design for your individual property is a good place to start. Not just anybody is qualified to Design, Repair or Install an Individual Sewage Treatment System (ISTS), or more commonly called a Residential Septic System. Sewage treatment is regulated by the Minnesota Pollution Control Agency (MPCA). 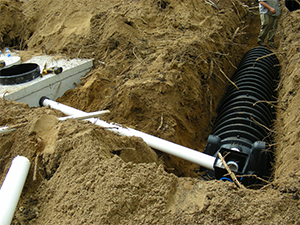 Professionals trained on modern septic systems are Certified or Licensed by the MPCA. CSI Custom Septic, Inc. provides numerous services for keeping sewer systems operating safely and efficiently for as long as possible. 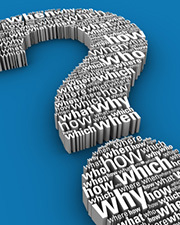 There are several different options when it comes to MN Septic Systems. A Septic System Designer should take a close look at many different factors before choosing the Best Sewage Treatment System for your property. Things such as soil type, flood plains, size of home and location all must factor into the decision. Picking the right Septic Tank & System for your property requires the expertise of a Licensed Septic Practitioner. You can count on the quality and service provided by MPCA Certified Septic Professionals at CSI Custom Septic, Inc. We take the time to make sure that our customers are completely satisfied with our work. Your family deserves to have a sewage treatment system that works as well as possible for as long as possible.